First hijab-wearing model to appear in L'Oreal haircare campaign pulls out from campaign after old anti-Israel tweets exposed. The first hijab-wearing model to appear in a L'Oreal haircare campaign pulled out from the campaign on Monday after a series of anti-Israel tweets she posted several years ago were exposed. The model, Amena Khan, made the posts, including one that described Israel as an "illegal state" and another referring to the country as a "child murderer" in 2014, but they were unearthed when she recently shot to fame, reported The Telegraph. The tweets have now been deleted. In one post she wrote, "U repeatedly say "nobody is above the law". Well, under international law, Israel is an illegal state. Yet u support them. EXPLAIN #AskDavid'." Another said: “Israel = Pharoah. Both are child murderers. Insha'Allah, defeat also awaits the former; it's only a matter of time. #HopeForGaza #SaveGaza”. In a third post directed at Channel 4 presenter Jon Snow, she wrote: “Your ‘children of Gaza’ piece was incredibly moving. Israel is a sinister state & the one who suffer most are innocent children." Khan was slated to appear in Loreal’s latest advertisement for its Elvive haircare line and was said to challenge traditional hair advertising as she was photographed wearing a hijab. In a statement quoted by The Telegraph, she said she "deeply regrets" what she said and apologized for the "upset and hurt that they have caused". "I deeply regret the content of the tweets I made in 2014, and sincerely apologize for the upset and hurt that they have caused,” said Khan. "Championing diversity is one of my passions, I don't discriminate against anyone. I have chosen to delete them as they do not represent the message of harmony that I stand for,” she added. "I recently took part in a campaign, which excited me because it celebrated inclusivity. With deep regret, I've decided to step down from this campaign because the current conversations surrounding it detract from the positive and inclusive sentiment that it set out to deliver," concluded Khan. "We appreciate that Amena has since apologized for the content of these tweets and the offence they have caused. 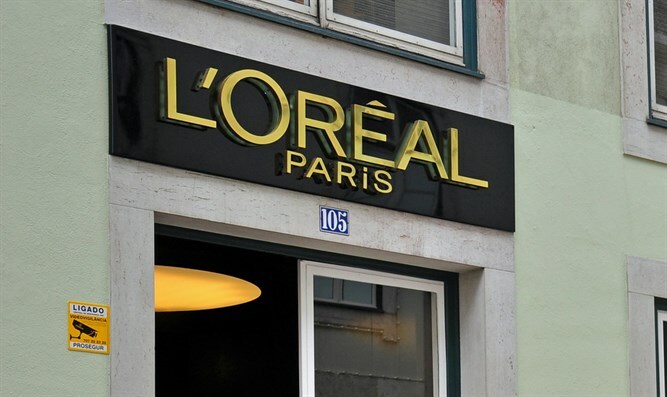 L'Oreal Paris is committed to tolerance and respect towards all people. We agree with her decision to step down from the campaign," the spokesman added.